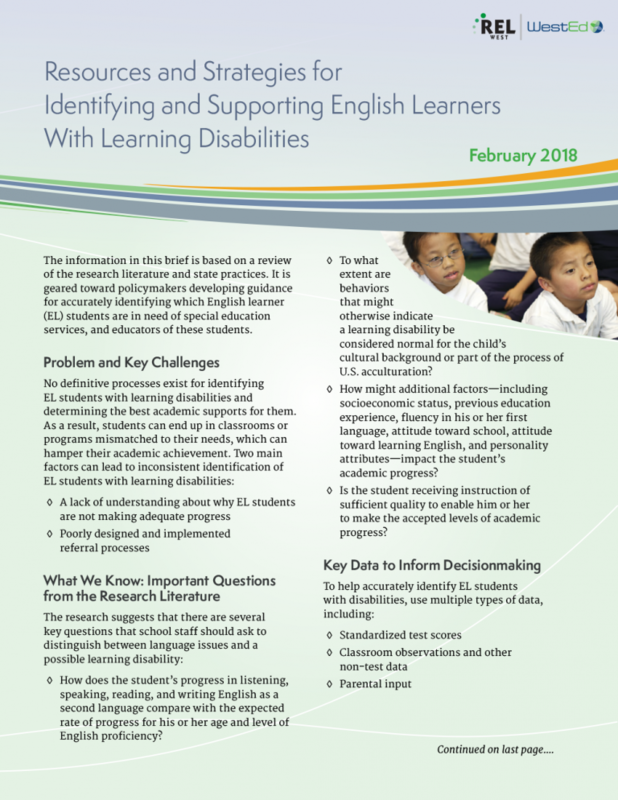 No definitive processes exist for identifying English learner (EL) students with learning disabilities and determining the best academic supports for them. 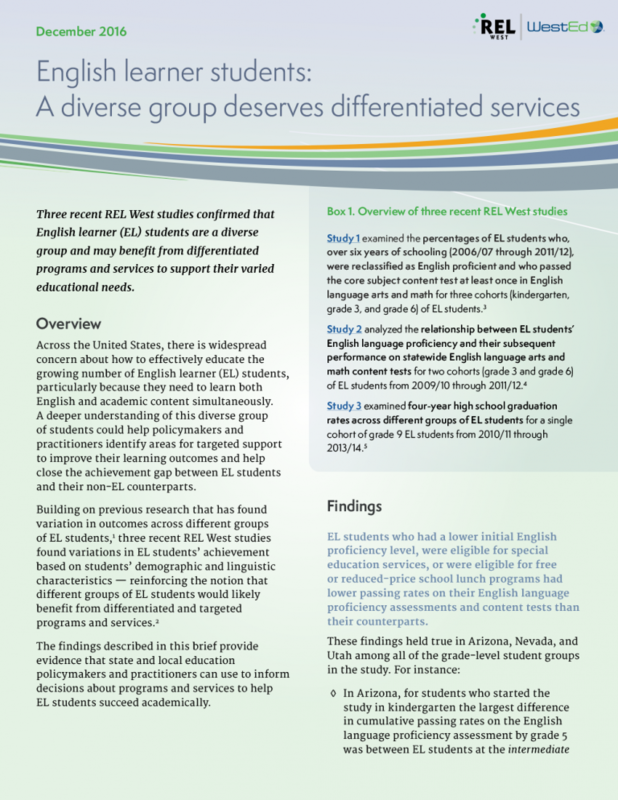 As a result, students can end up in classrooms or programs mismatched to their needs, which can hamper their academic achievement. 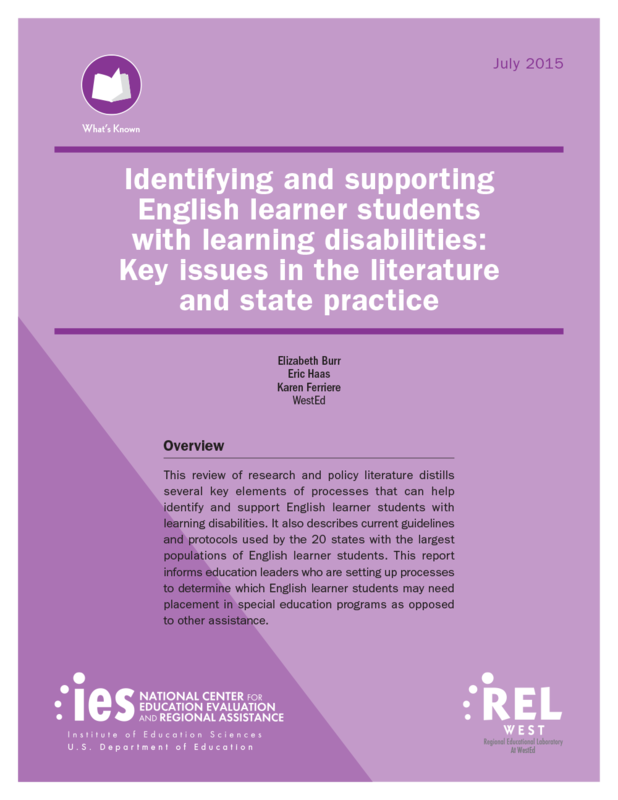 Based on a review of the research literature and state practices, this brief is designed for policymakers who are developing guidance for identifying EL students in need of special education services, and educators of these students. 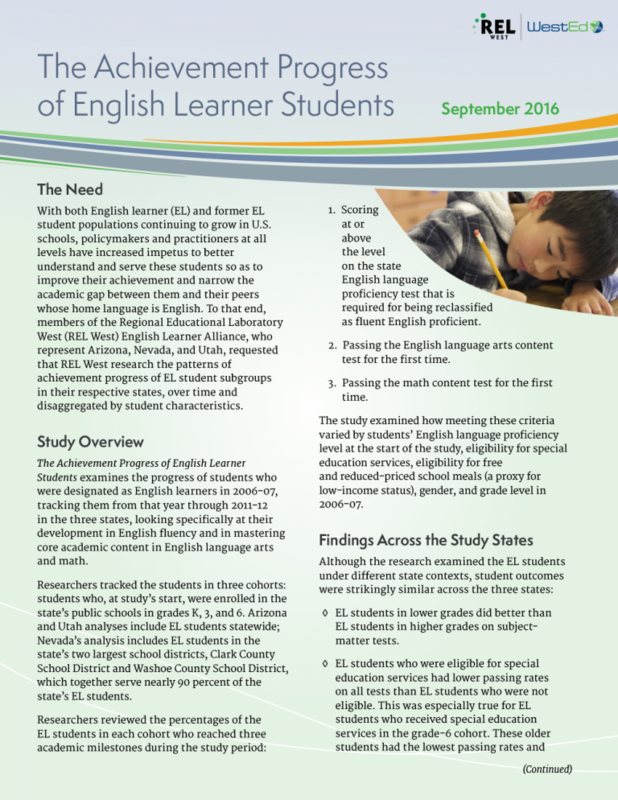 Read a snapshot of the academic progress of English learner students in Arizona, Nevada, and Utah from 2006/07 through 2011/12.